Who: Even though summer may still seem a long way off, local parents are busy choosing the right summer camp or activity for their children. 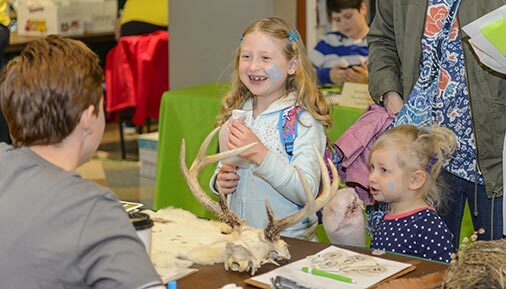 What: The eighth annual Summer Camp Fair at Hudson Valley Community College will bring together dozens of the Capital Region's summertime camp offerings. Parents will have the chance to plan for their children's summer activities. More than 30 Capital Region camps and summer activities will be in attendance. This free event will include a family fun area, raffles, face painting, and balloon animals created by Mr. Twisty. Where/When: The fair will run from 10 a.m. to 2 p.m., Saturday, March 24, in the college's Siek Campus Center. THIS IS A NEW LOCATION. The annual Flower and Garden Show will be in the Field House this weekend. Details: In past years, hundreds of families have attended the Summer Camp Fair to learn about summer camp opportunities. Registration has already begun for Hudson Valley's Kids on Campus programs, which this summer will offer a variety of athletic camps, as well as Circus Theatricks, Technology Camp, Youth Theater Workshops and Summer Academy. Athletics camps will include adventure, all sports, basketball, dodgeball, football, golf, lacrosse, soccer, softball, tennis, track and field and volleyball.